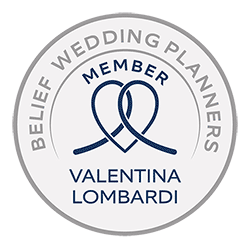 Those who follow the blog of Italian Lakes Wedding will have noticed that the Hotel San Rocco is often cited in our post: in fact many weddings held on Lake Orta have as their final destination this beautiful hotel in Orta San Giulio. Recently, the structure has been completely renovated: here is the perfect opportunity to introduce you to the novelties and the top of the services offered by the Hotel San Rocco to the married couple, certainly the best you could have for an exclusive and romantic wedding on Italian Lakes. 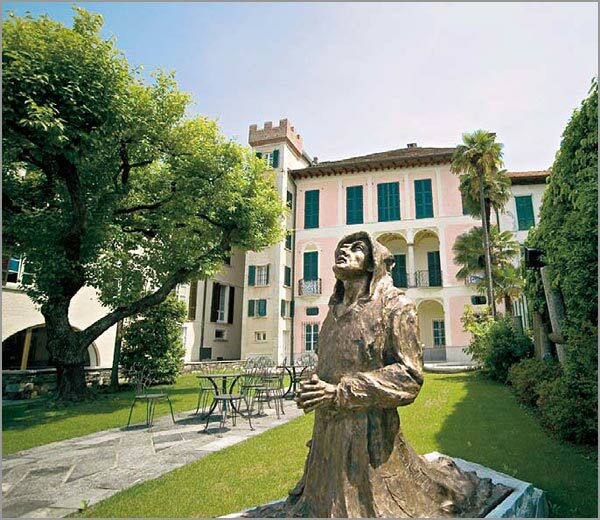 The history of Hotel San Rocco starts over 400 years ago. 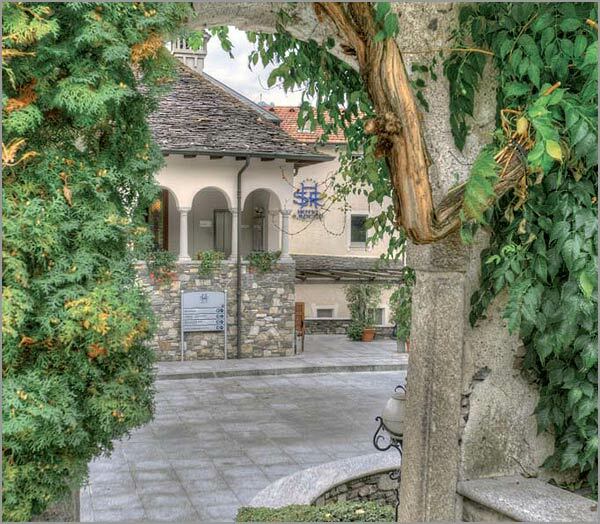 Looking over from the shores of the magical Piedmontese Lake Orta, in the pedestrian village of Orta San Giulio and bounded by the ancient walls of a monastery, this building, that for nearly 150 years was an enclosed convent, in 1960 officially became a hotel. Villa Gippini was added to the original structure afterwards which made Hotel San Rocco the most prestigious reception complex in the Lake Orta area. Now, four stars hotel with 80 rooms. Famous for organizing special events and for moments and pleasures of the table, the Hotel San Rocco has a wonderful panoramic restaurant: an exceptional example of refinement and details care, as well as of the culinary art. The Restaurant, at the first floor of the Hotel, with its big arched windows, enjoys a charming and romantic view: the Island of San Giulio, set like a jewel between the brilliant lake waters and the neighbouring hills that are mirrored in it, with their green mantles. 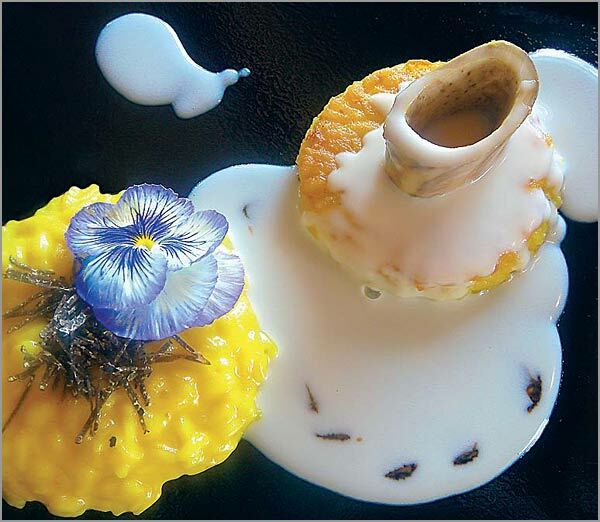 Its cooking is managed by Paolo Viviani, Executive Chef of Novara, winner of the Olympic of the Rice. Other great features of the hotel are the garden terrace which leads right to the water’s edge and the panoramic outdoor swimming pool. During the summer, Guests can delight, in the open air, light launches or dreamy dinners under the stars with candle lights. 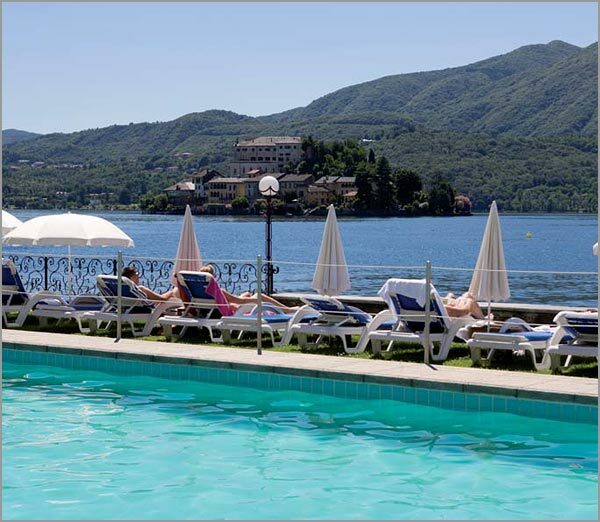 The Hotel also offers a refined and cosy lounge bar lake view towards San Giulio Island, that becomes more romantic in the evening, where Guests can spend their time sipping aperitifs or enjoy their favourite drink. Seated in total relaxation in a leather armchair where once was the old boathouse, the guest may choose whether to be bewitched by the island of St.Giulio wreathed in its enchanting mists or be comforted and warmed by the flames flickering in the fireplace. In the romantic background of Lake Orta, the charm of the past creates a modern and unique hospitality. At the beginning of 2009 the Hotel has been completely renovated. New look for the guest rooms, fully re-designed: from the floors to the doors and windows, from the lighting to all the natural chic furnishing. The restored rooms and suites open onto a beautiful panorama of the lake. 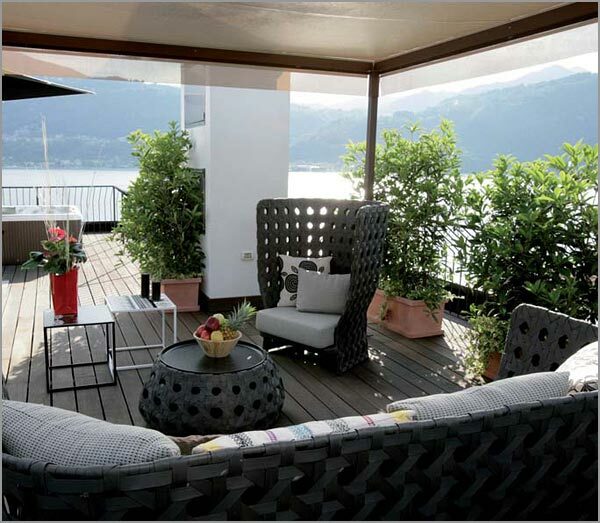 Some rooms have terraces or balconies for breakfast or simply to enjoy the lake breeze. Detailed attention has been lavished on the modern and elegant suites so as to satisfy every requirement. 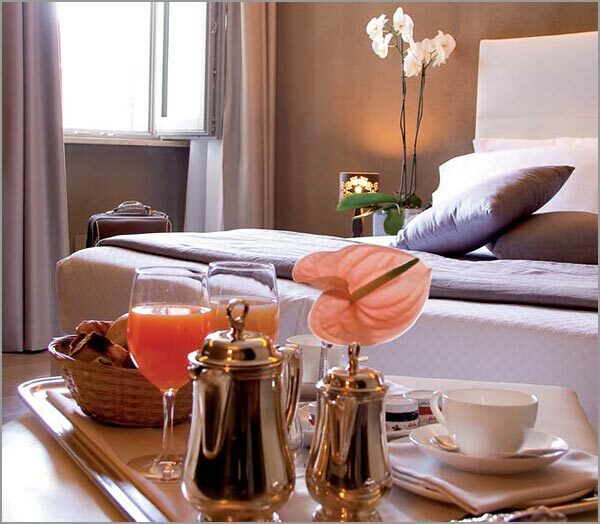 Fashion, heating and cooling radiant systems, thermoregulation, electronics, hi-tech lighting and furniture design make the Hotel San Rocco, with its tradition and innovation, a real and tangible example of the true Made in Italy. Villa Gippini, a true jewel of art history, reflects here all its baroque splendour in the clear water of the lake and offers different and elegant rooms and suite, village view or lake view. Within the Villa, there are numerous early nineteenth century frescoes on the walls and ceilings. The Villa is now fuelled by an innovative hydrogen boiler, designed by the Giacomini Spa’s engineers and is actually the first and only hotel facility to benefit from this new technological system. An oasis on the flat roof of the Hotel for exclusive and intimate moments. A total, absolute relaxion in the open air on a charming terrace with a wonderful view that takes shape from the lake to the land; a panorama to contemplate, making caress yourself by pleasant, massaging water jets in our Jacuzzi… Many water caresses to enjoy alone or in couple. An exclusive location for reaching beauty and harmony, in body and spirit. In these centre, you can find yourself again and discover the pleasure of a personalised treatment that regenerates the body and relaxes the mind for men, woman and couple. If for your wedding you are looking for a discreet, romantic, rich in history and evocative atmosphere, the Lake Orta and the Hotel San Rocco are the perfect combination for a unique and unforgettable event.